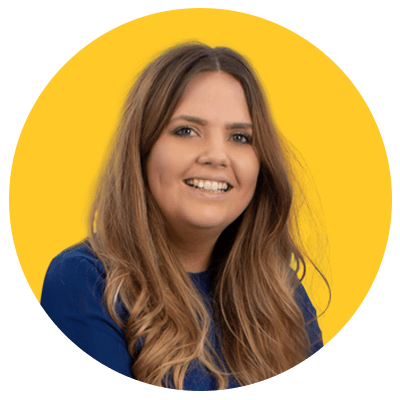 From the merge of print and digital marketing to colour palettes and fonts we just can’t get enough of, 2018 has so far proven to be exciting time to boost your print marketing strategy. New technology has introduced fantastic and innovative ways of attracting customers, and with our research suggesting that 43% of people find online ads the most intrusive form of marketing, the only way for print is up! Here is our summary of the top 2018 print marketing trends to watch. 2018 has been the year of cool fonts – from relaxed, laid-back styles to futuristic styles. One of our favourite typography trends this year is the calligraphy style font. This relaxed font replicates handwriting and is great for titles or small pieces of text. If you’re a fan of Pinterest (like us) then you’ll know that it’s hugely popular in wedding industry because of its personalised style, but is also making a splash in the graphic design and photography world too. Our Beautiful Blossom free design templates use this font well for a number of print products from Banners to Flyers & Leaflets. Although we first started seeing an increased use of this font in 2017, another font that’s risen massively in popularity this year is the sans serif geometric font. This typeface uses clean shapes and lines and is reminiscent of classic sci-fi films of the 60s and 70s. Geometric fonts are made using simple shapes like circles and squares and are great for all kinds of print marketing. 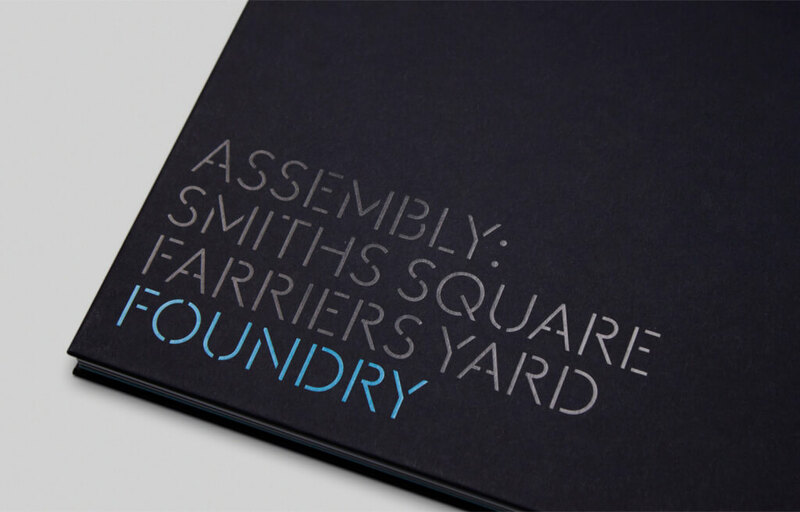 We particularly love London-based business hub Assembly’s Brochure design which brings geo fonts to the forefront of modern print design. With new technologies being developed all the time, print marketing is refusing to be left behind in digital’s dust. We’ve seen a surge of QR codes that link up both digital and print marketing campaigns and gives your business an added boost. The beauty of the QR code is that you can add them to pretty much any print marketing tool from a large format Roller Banner to Posters. We think this simple design for content collective business Stranger Studio is particularly intriguing. Jetline.com found that "Advertising campaigns that contain both digital marketing and print marketing receive a 25% higher response rate than campaigns that only use digital marketing in their advertising efforts". So, why not increase your own response rate and attract more customers by creating consistency between your online and offline ads? 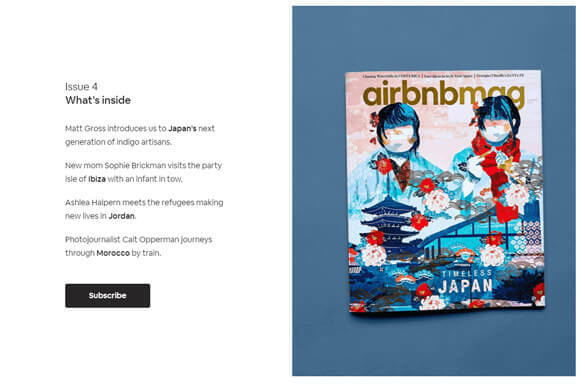 Although primarily an online business, Airbnb have recently found success in launching their own magazine that you can even have delivered as a printed brochure to your house or read as an e-book online, which is another fantastic example of combining traditional marketing techniques with digital to create an innovative campaign. One of the reasons why print marketing is so effective is because it’s physical; you can hold it. It appeals to our haptic sense (touch). The heavier something is in our hands, the more serious we take it – that’s why we prefer thicker stock Business Cards. The importance of touch is also often explored in research: a 2009 neurological study by Millward Brown concluded that physical material not only facilitates greater emotional processing than virtual marketing, but also helps the reader to memorise the content and even develop positive brand associations. So, why not have a play around with different laminations next time you order some print? Following along the lines of technological advancements, there are now even more ways of creating a unique feel for your print marketing products that command 100% of your customers’ attention. 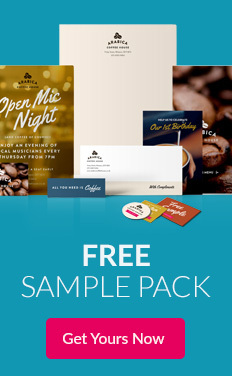 Free downloadable templates (like ours) mean you can add Spot UV, or Spot Varnish, to a lot of print products, Business Cards being the most popular. This adds a layer of shiny varnish over certain parts of your design you’d like to stand out. There’s fantastic opportunity to get really creative with Spot UV by creating your own custom designs. 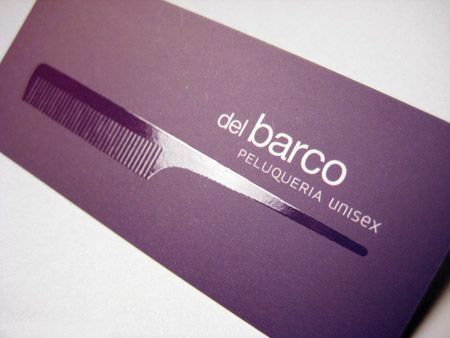 We love this simple but very thoughtful and interesting use of Spot UV for a hair salon. On 25th May 2018, new GDPR legislation came in to further protect the data of individuals who live in the EU, which in turn had a huge effect on email marketing (remember all those emails asking you to opt in to receiving marketing communications?). As a result, direct mail such as Flyer & Leaflet drops – which, if they were GDPR compliant, didn’t face the same restrictions as email – increased in popularity. Because of the recent surge in direct mail campaigns, one of the best ways of still making a unique impact on a budget is Postcards. 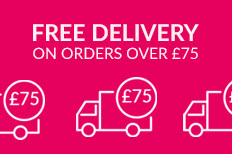 Whether you’re saying thanks, sending a discount to attract new customers to your shop, or even just sending a bright and loud ‘hello!’, there’s a lot of scope for Postcards in the future. For advice on how to make your direct mail GDPR compliant, check out our guide. Pantone’s colour of the year for 2018 is Ultra Violet – a cool, rich purple. Following on from their 2017 colour of the year, Greenery, bright tones are continuing to make a splash in the design world rather than the popular pastel colours of previous years. “Intense colors seem to be a natural application of our intense lifestyles and thought processes these days,” stated Pantone Color Institute Executive Director Leatrice Eiseman. If that’s so, then we’re right on trend with our brand colours! For more design inspiration, here are just a few of Pantone’s colour palette suggestions for 2018. Stay fluid and try different options – after preparing and then getting used to GDPR, the way we market business to customers has had to inevitably change. Appeal to people’s senses – whether that’s the sight and emotion you feel from different colour palettes to the way print feels in your hands. Explore non-traditional routes into print marketing to combine it with your digital strategy. Make the most of new and emerging technologies to stay ahead of the game.